May the ghost of T. S. Eliot forgive me. Let's take the money and make our visit. A reader points out that one of the fed-up claims in Sarah Palin's defense of Nikki Haley -- that the "lamestream media" reported she was "living in the Hamptons" -- refers to a pretty blunt and obvious satire in a local New York publication, Dan's Papers. Just be thankful that she is as clueless as a political and ideological foe as we could ever hope for. We can only hope for this kind of idiocy from her Kentucky ideological clone, Rand Paul. Al Qaeda Leadership Gather For Secret Meeting. "EFCA is The Great Satan!" "The only good union is a dead union!" Osama bin Laden stated in prepared remarks today. DATELINE MUSCAT, OMAN: Another shocking revelation of anti-Union plotting and scheming today, but this time it was not CEO's of TARP Bailout recipient banks. like to avoid becoming another Muscat. 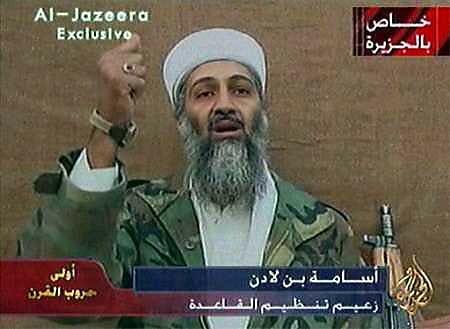 Read more about Al Qaeda Leadership Gather For Secret Meeting. "EFCA is The Great Satan!"